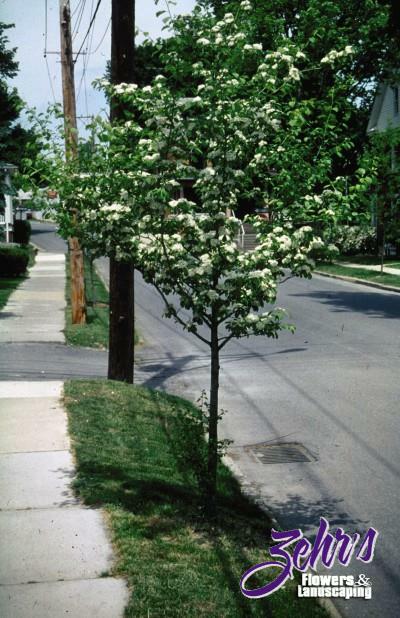 Introduced in 1955, this hawthorn provides white flowers which are followed by red, 3/8 " fruit. It fruits heavily when young and retains fruit throughout the winter. The silver-gray bark exfoliates with age.